New Jersey Craft Beer fans will not be disappointed with a trip to Cape May. Multiple festivals, beer dinners and microbreweries can be found in and around the town. Many spots are open year round, but other one day festivals are a great reason to book a reservation and make it a weekend away with friends or family. Festivals are a great place to start to enjoy the food and New Jersey Craft Beers in the area. The Emlen Physick Estate is home to a few festivals. In June, they celebrate with the Cape May Hops Festival. It’s a great day to enjoy BBQ, brews and local music. 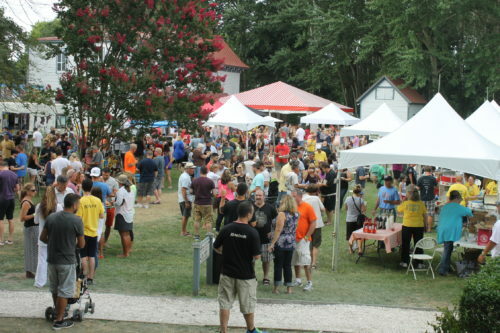 August sees the Cape May Craft Beer & Crab Festival arrive. In the fall, they host the Harvest Brew Fest. This September event is a great reason to come back to Cape May after the summer season has quieted down. Finally, the Mad Batter offers Beer Dinners in conjunction with the Cape May MAC. A perfect pairing for foodies and craft beer lovers alike! If New Jersey Craft Beer microbrewery tours are more your style, there are many open in the area and even a few on the horizon! Cape May Brewery is a local favorite. They have a wonderful reputation for seasonal and specially brewed beers for local events. They even brewed a beer to celebrate Cape May’s 350th birthday. They also have a new neighbor with Taco Shop opening next door. Great eats, brews and outdoor games await this special spot by the Cape May Airport. Cold Spring Brewery is located at Historic Cold Spring Village. Long a spot for families to stop and learn more about Cape May History, they recently added the brewery. It’s a great addition and they support the community with Thankful Thursdays. They sponsor a different organization each Thursday. A tasty way to give back! Ludlam Island Brewery is located in Ocean View, NJ, which is a short drive north up the coast. They offer a private party room in addition to their tasting room. So, it’s a good spot to enjoy New Jersey Craft Beer and host an event. 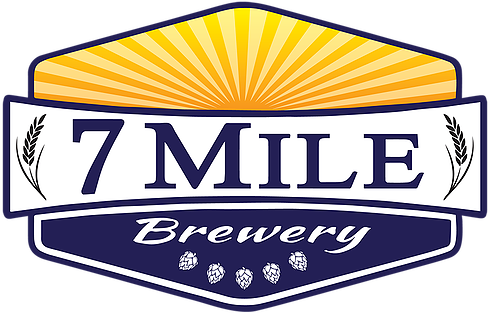 7 Mile Brewery is located in Rio Grande, NJ just north of Cape May. A new brewery in the area, they are earning a great reputation and have 12-14 beers on tap at a time. A sleek, industrial tasting room makes for a great spot to spend the afternoon. Slack Tide Brewing Co. was founded in 2015 and has garnered a stellar reputation in the area. They are located in Clermont and are a great spot to try their flagship and seasonal beers. As if this list weren’t extensive enough, two more breweries will be joining the fray in the near future. Mudhen Brewery is launching in Wildwood and Bucket Brigade Brewery is opening soon in Cape May Courthouse. Cape May has certainly become a bucket list item for New Jersey Craft Beer enthusiasts. So, stay with us and make it a week of testing out brews responsibly and exploring the other great aspects of Cape May! This entry was posted in Activities, Beer, Events, General by Deanna Brown. Bookmark the permalink.